Rickshaw is a dangerous bedlam of close calls and near misses and its passengers are the drunken, beaten down and stranded. 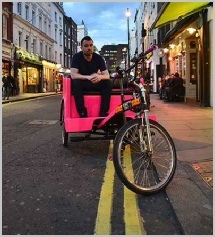 To work rickshaw, Irish must take a lesson in stamina and shift up through his emotional gears but no matter how hard he pedals, always hot on his heels, is his past. 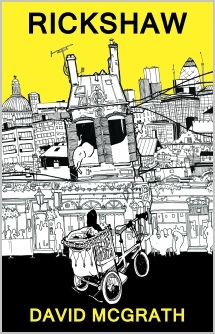 Hilarious, poignant and razor sharp, this debut novel captures the underbelly of London’s West End through a stunningly, gimlet eye and electrifying energy.